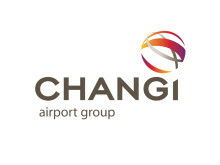 SINGAPORE, 3 September 2014 – Following its announcement of the Growth and Assistance Incentive (GAIN) programme in June, Changi Airport Group (CAG) today provided additional details of landing fee rebates for long-haul flights and incentives for airlines to grow transfer traffic through Changi Airport. These measures designed to strengthen the Singapore air hub, would amount to as much as S$50 million over the next 19 months for airlines operating at Changi Airport. Mr Lim Ching Kiat, CAG’s Senior Vice President for Market Development, said: “The underlying fundamentals of the Asia Pacific aviation market remain strong and attractive. We are, however, aware that airlines could be facing yield and cost pressures in the present environment. As an active and committed partner, CAG is rolling out these additional short-term measures to help airlines during this period. “The new incentives are targeted at long-haul flights and transfer traffic, two important segments of our air traffic. Long-haul services are a key part of Changi Airport’s global connectivity. CAG recognises that airlines commit significant investment into their long haul flights, hence CAG will be offering landing rebates on these flights to help share airlines’ costs. To help support airlines’ long-haul services, CAG will offer airlines a 50% rebate on landing fees for all non-stop long-haul passenger flights from 1 September 2014 to 31 March 2016. In addition, CAG is launching next month a Gateway Incentive to motivate airlines to grow their transit and transfer traffic at Changi Airport. All airlines operating at Changi Airport will receive a S$10 incentive for every incremental departing transit/transfer passenger handled. The 18-month scheme is effective 1 October 2014 and will also include passengers carried by foreign airlines interlining at Changi. The Gateway Incentive will encourage airlines to adjust their pricing and network revenue management models to meet growth targets and benefit from the scheme. 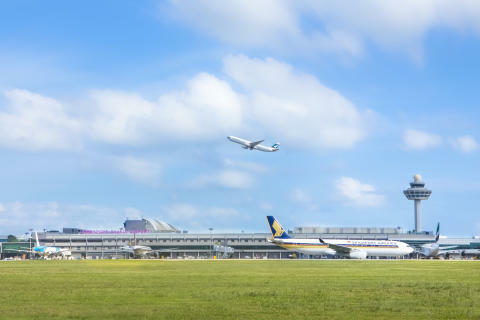 As previously announced, under the GAIN programme, CAG is also offering all airlines operating at Changi Airport across-the-board rebates of 50% on aircraft parking fees and 15% on aerobridge fees between 1 July 2014 and 30 June 2015. Along with the Gateway Incentive, CAG is also extending the Changi Transit Programme until 31 March 2015 to promote Changi Airport as a transfer hub. Passengers travelling on Singapore Airlines or SilkAir flights can continue to redeem up to S$40 in Changi Dollar Vouchers for use during their time at the airport. Launched in October 2012, more than one million passengers have enjoyed the programme to date, with travellers from the key transfer markets – Australia, China, India and Indonesia – topping the list of voucher recipients. Flight duration of 9 hours or more.